We invite healthcare professionals, designers, developers, innovators, patients and entrepreneurs to take part in building useable solutions to frontline healthcare problems. 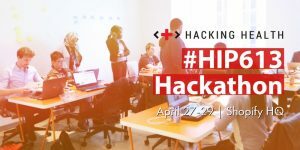 Join us Friday, April 27 to Sunday, April 29 for Hacking Health Ottawa’s #HIP613 Hackathon taking place at Shopify. #HIP613 is a fun, hands-on, intense, 3-day hackathon that breaks down barriers to healthcare innovation in Ottawa. Our goal isn’t just to organize hackathons, it’s to have a long-term impact on our healthcare system. Last year’s hackathon resulted in the development of 13 projects, two of which are being piloted at CHEO Hospital. We can’t wait to see you contribute to a hackathon project that can be brought to market for the benefit of communities everywhere – we have the resources to help you get there! Add your idea or sign-up for a team by joining our Sparkboard. At the hackathon, teams will pitch ideas, get advice from experts and build solutions that can be integrated and implemented into our healthcare system. We are excited to see the projects you’re dreaming up come to life! Check out the Hackathon Guide, for all the details about the schedule, judges, speakers, prizes and more! #HIP613 is a Health Innovation Program that aims to breaks down barriers to healthcare innovation in Ottawa. We bring together healthcare professionals, IT, designers, policy analysts, patients and entrepreneurs to collaborate, dream up & create solutions to real-world problems to improve healthcare. 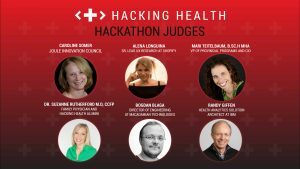 Hacking Health is an international movement designed to improve healthcare by inviting technology creators and healthcare professionals to collaborate on realistic, human-centric solutions to front-line problems. 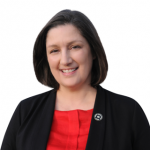 Learn more about Hacking Health. 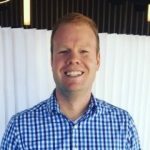 Anyone – you don’t have to be a developer to participate! There are many opportunities to meet potential team members, get started by creating a new project or join an existing problem on Sparkboard. Can I start before the event? We understand that you are excited to solve problems but please refrain from developing the solution before the Hackathon. Feel free to ideate, design, post, update, review, join a project on Sparkboard! 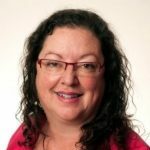 Are you interested in sponsoring our hackathon? 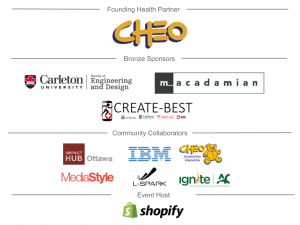 Hacking Health Ottawa is powered by an incredible group of sponsors. We’d love to have you join us! Take a look at our sponsorship package if you are interested in sponsoring our hackathon. Your laptop, charger, and your ideas! Still have questions? Send us a tweet, email or facebook message and we’ll get back to you as soon as we can. Cancelling your ticket? If you can’t attend, please let us know ASAP so we can refund you and give your spot to another person. There will be no refunds 10 days before the event, no-shows who don’t contact us 10 days in advance will not get refunded. By Purchasing a ticket to Hacking Health, you agree to the following terms and conditions: I hereby grant Hacking Health permission to use my likeness in a video, photo or other digital reproduction in any and all of its publications, including website, without payment or any other consideration.